I think I already told you I found this GREAT hat to knit and have a class. 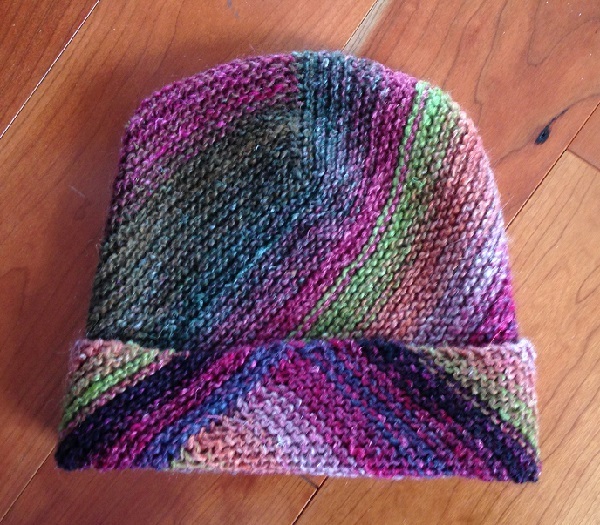 The Langfield hat by Martina Behm. I love her patterns. 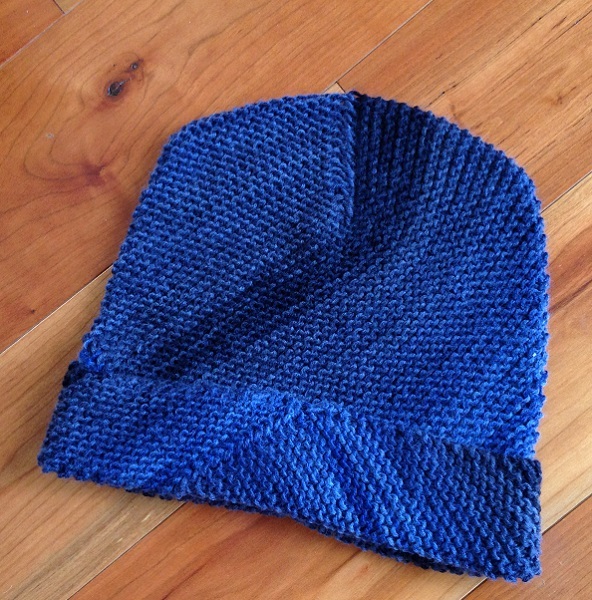 It’s very cool because it has a multidirectional look to it, and it is not knit in the round like a traditional hat. 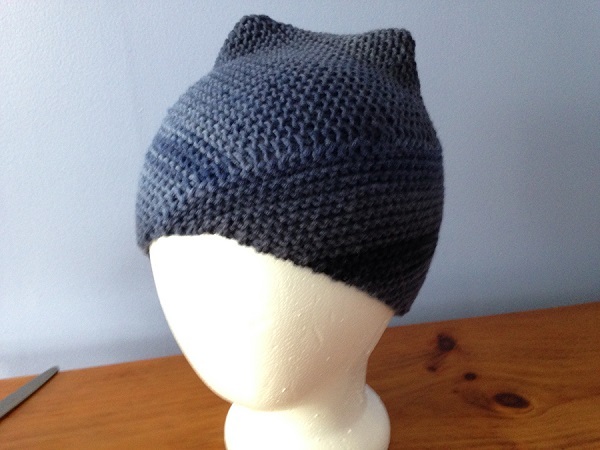 Something new and interesting as far as hat knitting goes. 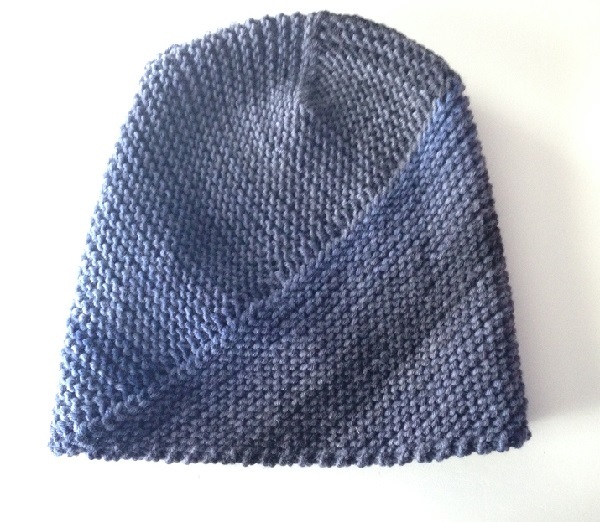 So I made one (Hat #1)! It was pretty small. Looks like cat ears, no? I was so afraid I would run out of yarn that I started the second section too soon and pretended that I really wasn’t stretching the first section too much to get it to fit around my head. But I was. Delusions of knitting. Ripped it out to make that triangle bigger like it should have been in the first place. But then I decided, since I knew how to knit the hat now, I should really make it in a yarn that The Spinning Room carries, to have it as a class sample. So pretty and fits so much better. I’d show you it on the Styrofoam head, but I lent it to someone. Trust me, it’s bigger and is SO comfortable! 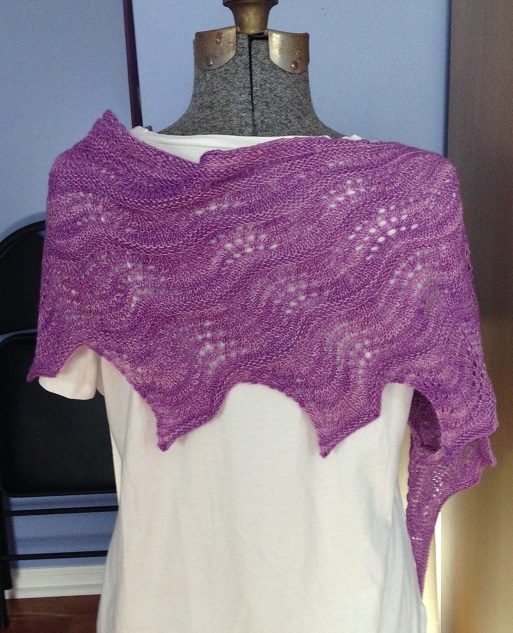 And speaking of classes, I finished my Diane shawl and I absolutely love, Love, LOVE it! 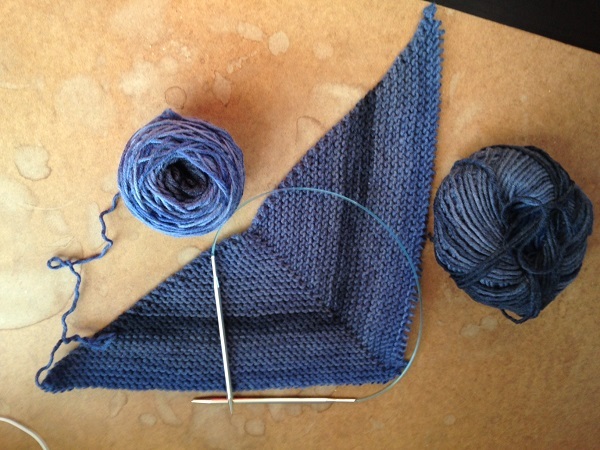 On to the search for a spring/summer cotton-or-lightweight-yarn top/cardi/tee pattern. I’m thinking of doing Berry Creek. Posted in Uncategorized and tagged berry creek, diane shawl, langfield hat on March 11, 2016 by lizytish. I’ll see if I can find some inspiration Bea! I love cardigans so that’s usually what I have available to teach! 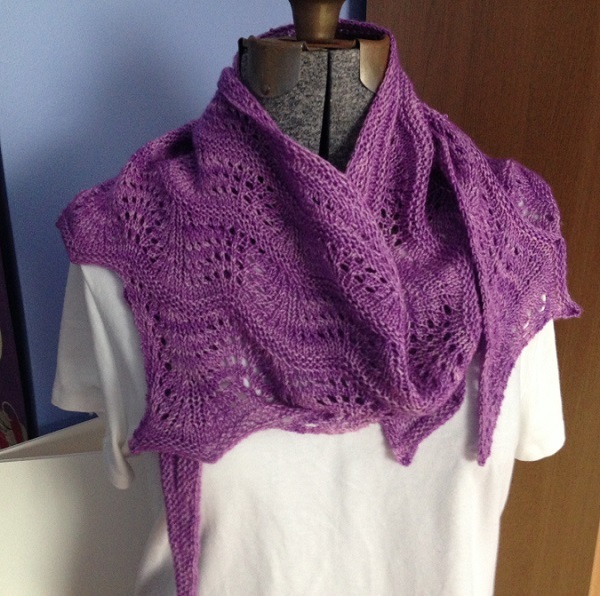 Gorgeous knitting! Love both patterns.